Khandel light trustees work voluntarily, taking no wages or expenses from the funds raised, so every penny that comes to us goes straight to Khandel. Decisions on how to distribute funds are made in conjunction with our NGO, (Non-Government Organisation,) Nirman Sanstha. Khandel light’s Chair Peter Gough joins the monthly community meetings by telephone. It is from these meetings, and by careful annual surveys, that Nirman Sanstha assesses the needs of the community. So how do we raise money? The answer is - in many ways. The list below shows how we raise funds at the moment, but please remember we would be delighted to hear from you with your new fund raising ideas! ​Local organisations support us: Rotary Clubs, Scout Groups, WI, Parish Councils, Charitable Trusts, Church collections. 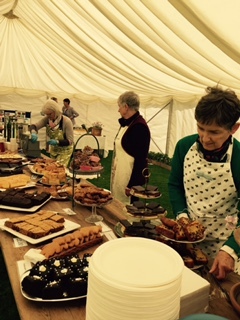 Collections – in 2015 at Saracens Rugby Club - in 2014 at the Cambridge Literary Festival. The London Marathon, over the last five years our wonderful runners have raised over £50,000 for Khandel light. Please visit Events to donate to the 2015 team. Khandel light holds events, often generously sponsored by local friends. In November 2014 we received the proceeds from a wonderful WW1 Commemorative evening in Barley. In 2015 we are inviting our supporters to the Cokenach Estate Spring Open Garden on May 16th. There will be teas and fun for the family, tours of the gardens, music; a magical afternoon for all. We have stalls at the local fetes and fairs, Barley Show, Barley Christmas Market and Barkway Street Market. Sales of chutney and marmalade. Our supporter David Weston contributes wonderful water colours for us to sell for Khandel light, a selection of David’s paintings can be viewed on his home page. 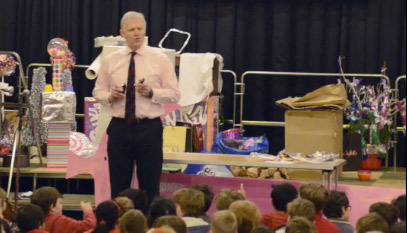 Schools raise money for us in many different ways: non-uniform days, henna tattoos, selling sweets and cakes, schools organised Diwali nights with Indian food, Bollywood dancing tutorials, a chai tea demonstration, and Easter Egg hunts; all imaginative and fun ways to raise funds. 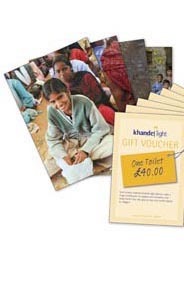 Please contact the trustees if you would like to raise money for Khandel light.